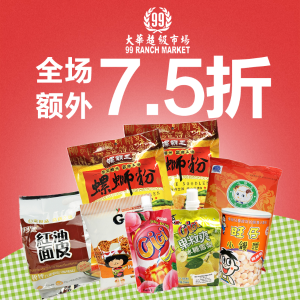 99 Ranch offers Get 20% + extra 10% off on selected item. 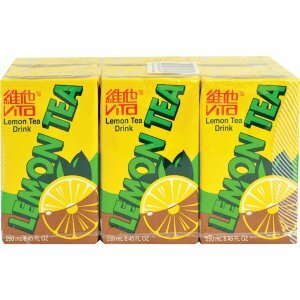 via coupon code "DMZSZ90". 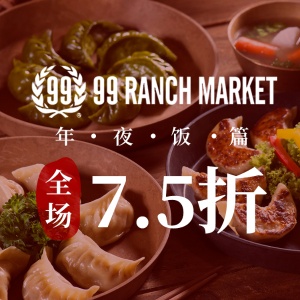 99 Ranch offers Get $9 off when you Spend $58 or more entire site. 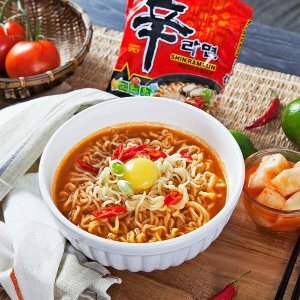 via coupon code "MARBREAK". 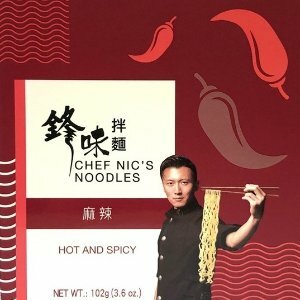 99 Ranch offers 25% off entire site. 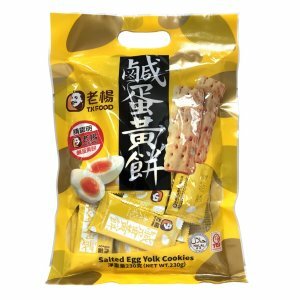 via coupon code "CELEBRATE10DM". 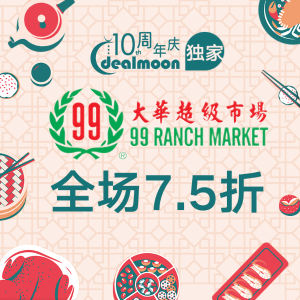 99 Ranch offers 15% off entire site via coupon code "DMFEB19". 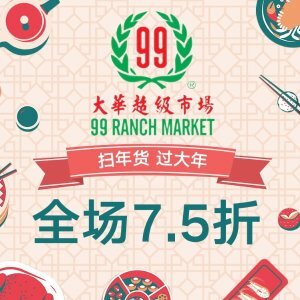 99 Ranch offers 足不出户也能扫年货, 满额包邮 99大华 陪你过大年, 超多年货好礼独家7.5折优惠 via coupon code "CNY19DM". 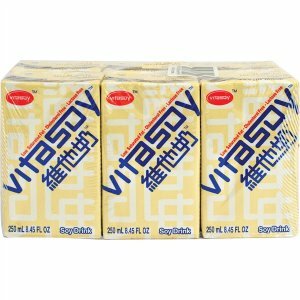 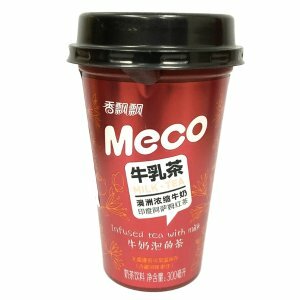 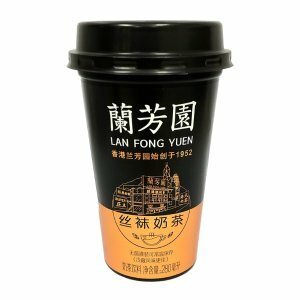 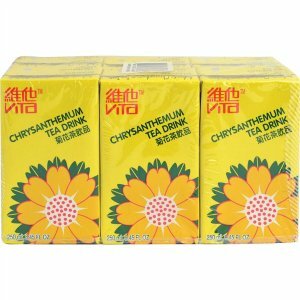 99 Ranch offers plus fs on orders over $40 99 Ranch 25% off entire site via coupon code "CNY19DM". 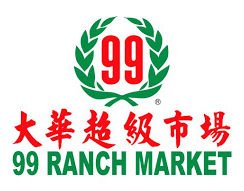 99 Ranch offers 15% off sitewide Sale via coupon code "JAN19DM". 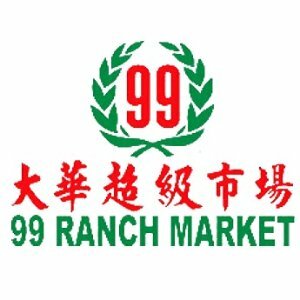 99 Ranch offers $8 off on purchase over $60 sitewide Sale via coupon code "XMAS8". 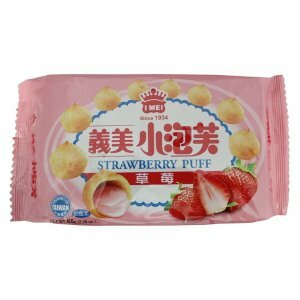 Also offers $18 off on purchase over $88 via coupon code "XMAS18". 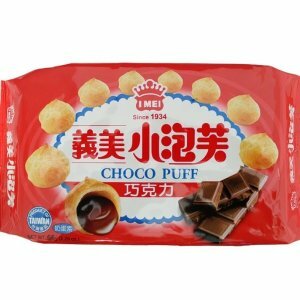 $25 off on purchase over $100 via coupon code "XMAS25". 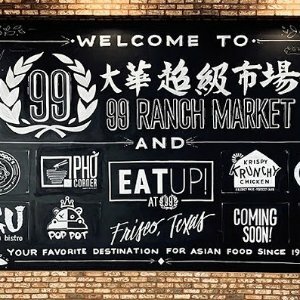 99 Ranch offers up to $25 off sitewide Christmas Sale. 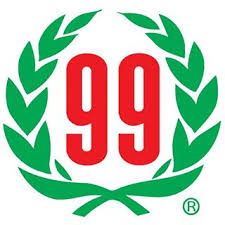 99 Ranch offers 10% off sitewide Sale via coupon code "DEC18". 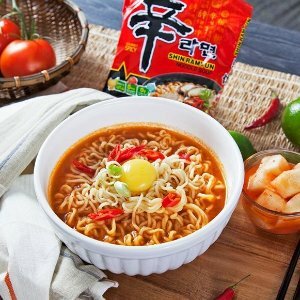 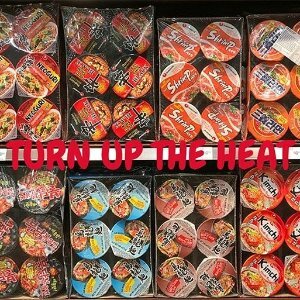 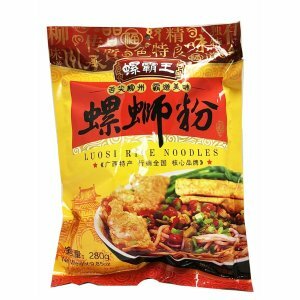 99 Ranch offers an extra 25% off KIKI Instant Noodle on Sale via coupon code "DEC18". 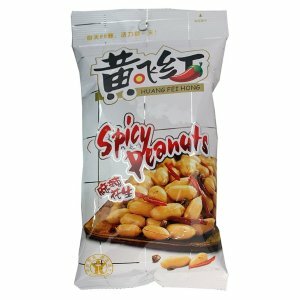 99 Ranch offers 25% off sitewide Sale via coupon code "THANKS18". 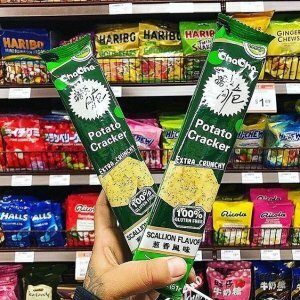 99 Ranch offers 25% off sitewide Black Friday Sale via coupon code "THANKS18".